It only takes a shallow dive into Chicago’s past to discover a history so indelibly stained with death that no amount of lime and soda could ever expunge it. It was, after all, the streets of that city that served as the hunting grounds of clown-killer John Wayne Gacy in the 1970s. He dismembered and buried 26 of his 33 victims under his porch. 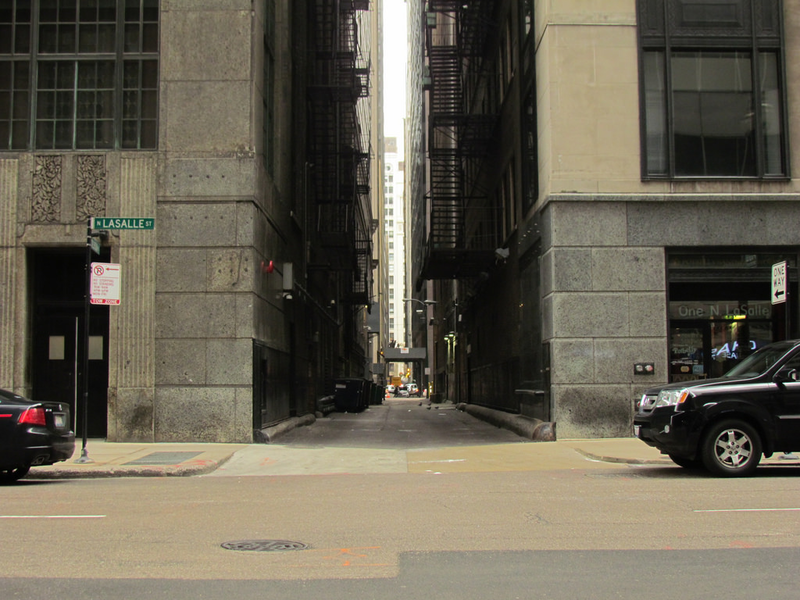 In 1934, the end of an unassuming alley off the Biograph Theater was the last thing John Dillinger saw before a police revolver’s bullet burst through his right eye and left him lifeless on the pavement. Five years earlier, in 1929, North Clark street gurgled with the blood of those slaughtered in the notorious St. Valentine’s Day Massacre. 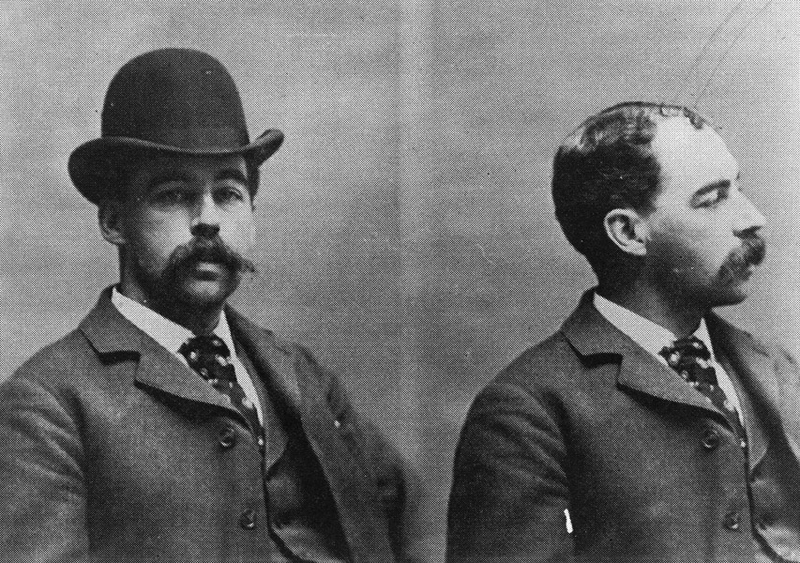 And, perhaps most famously, in the bustling neighborhood of Englewood, H. H. Holmes constructed a vast, diabolical hotel. Holmes used the excitement sparked by the 1893 World’s Columbian Exposition to lure countless young women to the hotel, and ultimately, to their doom. The number of his victims is thought to be somewhere between 27 and 200, making him the United States’ first serial killer. 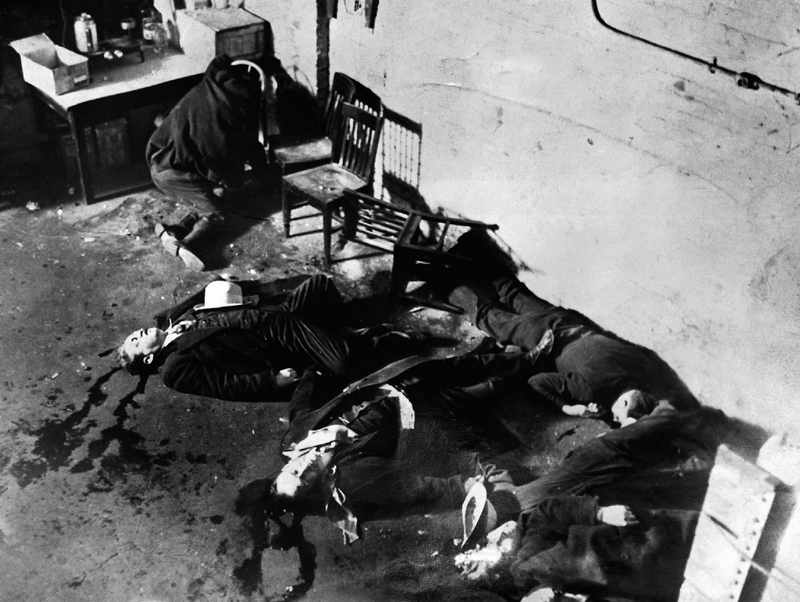 But before the city was rife with serial killers and mobster murders, before Leopold and Loeb clubbed an innocent man to death just to see if they could get away with it, there was a group of dauntless Chicago journalists who gathered in secret to both celebrate and mock all things gruesome and macabre. They would become known as the Whitechapel Club. Founded in 1889 as a fraternal organization and social club, the Whitechapel Club’s 90 members largely comprised newsmen from Chicago’s 11 papers, but also included musicians, clergymen, doctors, lawyers and politicians. The club took its name from the neighborhood in London that, at the time, was being terrorized by a mysterious serial murderer known only by the name the papers had given him: Jack The Ripper. Though originally intended to be a secret organization, the Whitechapel men quickly became notorious for their bizarre rituals and the gruesome decorations that adorned their clubhouse on Calhoun Place. Entering the clubhouse was like walking into the pages of an Edgar Allen Poe story. Greeting any outsider deemed worthy enough to enter (future presidents Theodore Roosevelt and William McKinley among them) was a large skull and crossbones rendered in stained glass with the words “I, too, have lived in Arcady,” emblazoned underneath. Guests would descend a flight of stairs to find themselves in the main meeting hall, a dark, triangular room, the walls of which were festooned with a profusion of ghastly curios. There was a bloodied shirt from one of the Native Americans slaughtered at Wounded Knee, a retired hangman’s noose, the slipper of a Chinese man struck dead by a street car in San Francisco and countless knives and pistols that had been used as murder weapons, recovered and donated by Chicago police. In the center of the room, dominating the ghoulish decor, was a hulking, coffin-shaped meeting table. This is where, under the dim light of the skull lanterns that lined the walls, members would smoke and sip crimson punch out of goblets fashioned from the skulls of local prostitutes. Typical club “business” included speeches, monologues, roasts, toasts and performances by magicians and other entertainers, often punctuated by long, strident songs and jeers from the members. Though the club’s activities were exclusively harmless, they did occasionally orchestrate some aberrant acts. After taking his own life with a pistol in 1892, Morris Allen Collins posthumously donated his body to The Club for cremation. The Club responded enthusiastically, decamping to the sand dunes on the shores of Lake Michigan. There, they constructed a monstrous, 18-by-20-foot funeral pyre, which they capped with the white-robed body of Collins. The pyre burned for nearly six hours, peppering warm, crimson flecks into the black waters of the lake. Members circled the pyre, torches in hand, singing and giving speeches. Afterwards, Collin’s ashes were gathered, deposited in a vase and incorporated into many of the Club’s rituals. Members would often sift the ashes through their hands. Portions of the cremated remains were even divvied up and presented as gifts to the Club’s honored guests. 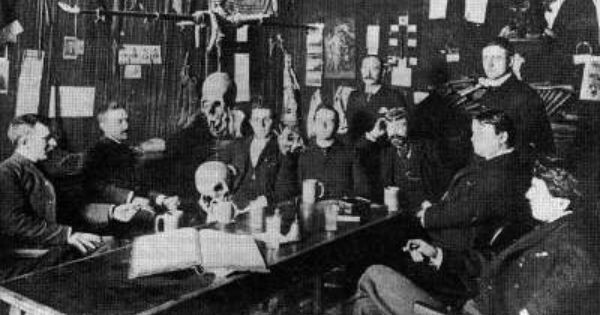 Unfortunately, the Whitechapel Club and all its macabre spectacle were as doomed as the lives of those whose skulls adorned its walls. In 1894, in the aftermath of an embezzlement scandal in which one of the members left the club deeply in debt, the remaining members opted to pay out and call it quits. Thus closed the book on another strange, gruesome chapter in Chicago’s history. Could The Prime Minister Really Find Natalie’s House In ‘Love Actually’?